Based on reviews from 259 experts and 43,561 users. Learn how our rankings work or see our guide to brown running shoes. Updated Apr 2019. Brown is considered a composite color. It is the color that is commonly used for painting and printing. When using the CMYK model, brown is produced by combining black, yellow and red, or blue, yellow and red. Using the RGB color model, brown is created by combining green and red in specific proportions. This combination is utilized to produce colors into computer monitors and television screens. Based on public opinions on surveys in the United States and Europe, brown is not one of the favorite colors of the majority. Brown is usually seen in dark wood, fertile soil, human hair color, skin pigmentation, eyes, and nature. The brown color is often associated with poverty, plainness, and rustic. According to psychology, specific colors have the ability to evoke psychological reactions. It can actually influence how people will feel and behave positively or negatively. Color psychology is the described as the study of hues that determine certain human behaviors. Brown, being an earthy and solid color can sometimes seem to be dull and drab. Beige which is described to be a light brown color is often used as neutrals in the fashion and design industry. They say that light browns can provide a traditional and conservative approach but according to some people, these shades can be perceived as something that is dull. The sense of reliability and strength is evoked by the color brown. It is defined as a natural color that is often seen much like the earth. It is associated with safety, security, resilience, and dependability. The brown color brings to mind the feeling of comfort, security, and warmth. It symbolizes being down-to-earth, conventional and natural, but can also be sophisticated. Brown creates the feeling of sadness, isolation, and loneliness as well. When associated with large quantities, it can be stark, empty, and vast. Chocolate brown is one of the latest trends in the fashion industry nowadays. The right color combination of colors makes a big difference in a visually-appealing attire. One of the colors that dominate the fashion industry and capture the hearts of consumers is the chocolate brown. According to some designers, brown is the new black. Amazing suggestions of stylists will make an easy dressing with the use of chocolate brown. A brown running shoe, purse, bag, and clothing can be seen as more natural and straightforward than a bright one. This color can be used for special events and everyday use to characterize one's personality. Below are the five best brown running shoes best for road and trail running. 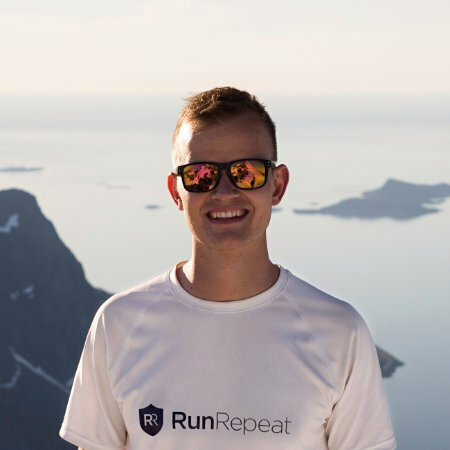 The information is based on RunRepeat's CoreScore as of September 2018. Nike Flex RN 2018. The Nike Flex RN 2018 is a road running shoe that is crafted for those who have a neutral foot mechanism. The footwear's lightweight midsole structure aims to provide excellent cushioning. As a result, a comfortable ride is experienced by the user. It follows the shape and movement of the foot because of its stretchable upper material. A molded textile footbed is integrated into the footwear to support the natural curves of the underfoot. The Flex RN 2018 utilizes a lace-up closure system. Attached to the lace-up closure are the Flywire cables. This component of the shoe provides a supportive and adaptive feel. Adidas Pure Boost. The majority of the users who have tried the Adidas Pure Boost were contented and happy with its excellent performance. A lot of them appreciated its features and technologies. Upon wearing the shoe, they noted that it was true to size, comfortable and appealing. A rubber compound shields the full-length platform. With the aim to deliver additional support to the runner, the material is extended to the medial side of the sole. Boost is the mid-sole foam that is utilized in the footwear. This material is essential in responsibly carrying the foot and keeping it well-cushioned throughout the running activity. Its flexibility and responsiveness were lauded by many runners. Adidas Ultra Boost. Adidas fanatics considered the Adidas Ultra Boost as "one of the best running shoes they have ever worn.” The shoe was appreciated by a lot of users because of its great look, responsiveness, and durability. Many runners were able to experience a hassle-free, efficient and comfortable ride for its midsole responsiveness. The Adidas Ultra Boost’s performance is said to be the work of the TPU energy capsules. These capsules are described to be 20% more responsive when compared to other Boost versions. Nike Zoom Fly SP. 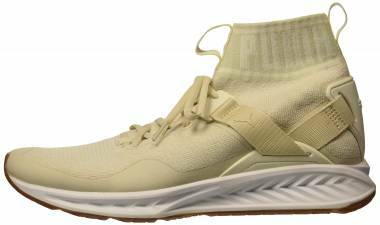 Nike introduces their new neutral running shoe which is the Zoom Fly SP. This footwear is strategically-engineered to be durable and fast. It is crafted for runners to excel in long-distance runs, tough tempo workouts and race days. This neutral running shoe is both fast and durable and is designed for tough tempo workouts, long-distance routes, and race days. The outsole utilizes the high-abrasion carbon rubber and foam rubber to provide added durability and responsiveness to the platform. This special edition version of the Nike Zoom Fly has updated designs and lightweight support system. The shoe features a semi-translucent upper that uses a stretch-weave material. The goal of which is to provide elasticity and breathability. As a result, a well-ventilated and comfortable ride will be experienced by the user. The Lunarlon is integrated into the midsole of the Nike Zoom Fly SP. It is upgraded with the use of a nylon plate and extended height to deliver added stability in critical areas. 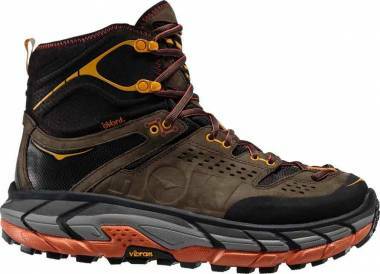 Hoka One One Tor Ultra Hi WP. A well-known waterproof shoe, the Tor Ultra Hi WP, is crafted with the technologies and features that aim to withstand the toughest terrains. With the protection, maximum cushioning, and the responsiveness it provides, the shoe is a great partner for hiking, daily running, and short-distance runs. 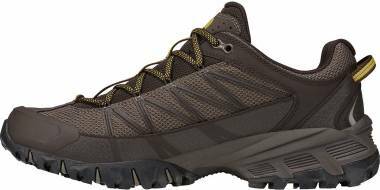 The Hoka One One Tor Ultra Hi WP utilizes a waterproof construction that prevents water from entering the platform, especially on wet weather conditions. This material is vital in keeping the foot moisture-free and dry throughout the running activity. The EVA and RMAT cushioning are used in the creation of the Hoka One One Tor Ultra Hi WP. This component of the shoe aims to deliver the right amount of protection and cushioning that is needed for an enhanced running experience. Here are the five favorite brown shoes best for road and trail running sessions. This following list is based on RunRepeat's popularity score as of September 2018. Adidas Ultra Boost. 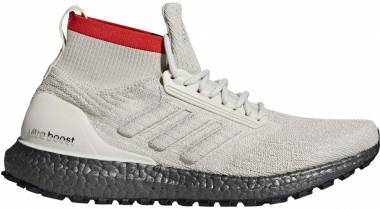 Adidas fans considered the Adidas Ultra Boost as "one of the best running shoes in the market today.” The shoe was recommended by a lot of consumers because of its appealing look, performance, midsole responsiveness, and outsole durability. Nike Flex RN 2018. The Nike Flex RN 2018 is a road running shoe that is built for those who have neutral foot motion. The footwear has a lightweight midsole structure that aims to deliver an incredible cushioning for a more comfortable ride. Its upper material follows the natural curves and movements of the foot. A molded textile footbed is used into the footwear to provide support to the underfoot curves. Adidas Pure Boost. Upon wearing the shoe, the majority of the users lauded its amazing performance. Several of the them appreciated the technologies that are integrated into the fotwear. A lot of them noted that it was comfortable and true to size. Because of the utilization of the rubber compound, it shields the full-length platform to deliver additional support to the runner. To hold the foot in place, the plush tongue and collar is added to the footwear. These materials prevent the possibility of shoe removal during the running activity. Nike Zoom Strike. The footwear is meant to attract users who are looking for a stylish and reliable yet affordable footwear. It is minimally designed to offer a lightweight, supportive and breathable running experience. It utilizes a single layer mesh upper that promotes a well-ventilated foot chamber. A compression-molded foam is integrated into the midsole of the Nike Zoom Strike. This component of the shoe aims to provide an excellent cushioning which results in a more comfortable running experience. Lying in the heel area is the Zoom Air unit. The goal of which is to add energy return and bounce throughout the running session. To ensure a lock-down fit, the brand’s Dynamic Fit technology is used. It accommodates any type of foot shape with the aim of acting as a second skin. With the utilization of the waffle-patterned outsole, the right amount of traction is offered for the runner to tackle every paved surface confidently without easily damaging the sole unit. Adidas Pure Boost DPR. The Adidas Pure Boost DPR received both positive and negative comments from the users. Several of them were happy, and some were not satisfied with the shoe’s performance and construction. Despite the mixed feedback from the public, the footwear was still successful in delivering a more comfortable and smoother ride. The sole unit offers a close-to-ground feel without sacrificing the shoe’s responsiveness. The signature boost technology of the brand is integrated into the midsole of the DPR. The primary focus of which is to release energy from every step and continue in a forward motion. As a result, a seamless and energized run is experienced by the runner. In searching for the best brown running shoes for your trail and road activities, the price is one of the most important things that a user should. 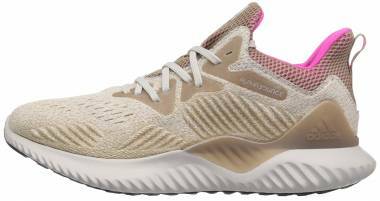 Listed below are the affordable shoes based on RR's rating as of September 2018. Saucony Kineta Relay. The Kineta Relay from Saucony is engineered to be a running shoe that many users have tried. It is ideal for runners who really want to take their training, daily performance, and running activities to the next level. Featured in the Saucony Kineta Relay is its featherweight structure. The goal of which is to allow the runner to move at a faster pace without compromising comfort, support, and protection. The footwear uses the high-abrasion EVA foam. This material is meant to deliver additional cushioning and durable traction to the platform. The utilization of triangular lugs in the outsole area aims to provide the right amount of grip on a wide variety of surfaces. Integrated into the shoe is the FORM2U memory foam cushioning. The primary purpose of which is to provide footbed protection and cushioning that conforms with every step of the runner. Nike Zoom Strike. 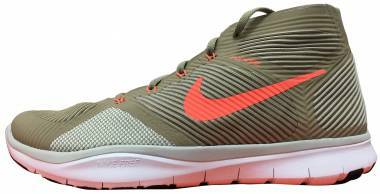 The majority of the users accepted the Nike Zoom Strike because of its functional features, fit and appealing appearance. Although some of the purchasers have issues with its performance and sizing, others still recommend the footwear because of the comfort it provides during the running activity. The Nike Zoom Strike utilizes the dual-density midsole. Lying on the top layer of the midsole is the injected urethane foam. This material provides responsiveness and underfoot cushioning. The bottom layer is built with the injected Phylon foam that is essential in delivering additional durability and stability. New Balance Fresh Foam Cruz. 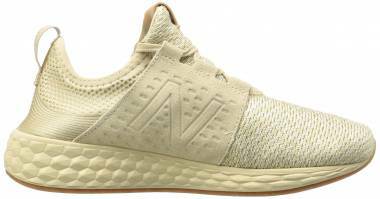 The New Balance Fresh Foam Cruz was accepted by most runners who have tried it. The shoe's comfortable nature and responsiveness are ideal for those who have neutral foot mechanisms. Its features are sure to provide a smoother heel-to-toe transition and softer cushioning for a more efficient ride. The Fresh Foam Cruz utilizes the mid-sole technology. This material is described to be a full-length foam that is responsive, soft, responsive and accommodating to the natural movements and steps of the user. The upper area makes use of a saddle to secure and support the foot. The shoe features an easy-to-slip-on style. This is significant in giving an improved feeling of comfort while running. Asics Gel Excite 4. The Gel Excite 4 is an excellent choice for runners who are in the entry-level. With its outstanding responsiveness and cushioning, the shoe was lauded by a lot of users who have tried it. The upper area of the Asics Gel Excite 4 has the most changes in terms of its features. The overlays are removed which results in a more appealing and sophisticated upper. In place of these overlays is the utilization of a new suede-like material. The purpose of which is to add midfoot hold and durability. In the previous model, TPU overlays are stitched, but with this model, the logo is integrated as part of the overlays. Continuous support from the midfoot section to the heel area is offered because of this integration. Aside from its refined look, the upper uses a mesh with bigger holes. The purpose of which is to improve the durability and breathability of the platform. A little change in the tongue construction of the 4th installment of the Excite is also involved. It is now thinner when compared to the previous model. The tongue continues to cover the foot and keeps the stress to be on the top portion of the foot where the laces of the shoe are tied. Under Armour Threadborne Blur. The Under Armour Threadborne Blur is crafted to be a neutral running road shoe. Because of its versatility, many users were really impressed. The updated technologies and features that are integrated into the shoe made it possible for runners to use the Under Armour Threadborne Blur not only in running activities but also in tempo workouts, gym sessions and walking. The outsole is comprised of the Blown Rubber and Carbon Rubber. Both are placed on specific areas provide additional protection from wear and tear. The right amount of traction is offered as well. Anatomical Flex Grooves were integrated into the footwear to allow natural flexing and bending. By combining and blending two different complementary colors from the RYB color model, brown is created. It is usually described as reddish, gray-brown, yellowish as well as light or dark. Below is the list of some of the shades and tones of brown. Beige. The color of unbleached wool is the representation of this color. Buff. The name Buff was derived from the color of a buffed leather. It is described to be a pale yellow-brown color. Burnt umber. Burnt umber is used for both water and oil paints. By heating raw umber, it dehydrates the iron oxides and partially changes them to be more reddish hematite. Chestnut. Chestnut can be found around chestnut trees. Chocolate. Chocolate comes in dark, milk and white varieties. Because of the contribution of the cocoa solids, the brown coloration is created. Cocoa brown. From a cocoa bean, chocolate is created. A cacao tree has cocoa bean fruit pods in various stages of ripening. These fruit pods are filled with cocoa beans inside of them. Desert sand. The color desert sand is regarded as a deep shade of beige. The name "desert" was first used in the 1920's. It is described as a pale tint called "desert." Khaki. In HTML/CSS, it is the web color called khaki. Before the introduction of computers, khaki was a standard for color nomenclature. In 1848, khaki was first used as a color name in English. Kobicha (brown-nose). The color kobicha is one of the traditional colors of Japan. Since 660 AD, it has been used as dyes to design kimonos. Peru. Peruvian brown is the original color name of Peru. In 1924, Peruvian brown was first used as a color name in English. This color was initially called Peruvian brown. Rosy brown. In 1987, the color name rosy brown first came into use. In the early 1990's, it became known as one of the X11 web colors. Russet. Russet is considered to be a color of fall. It is often associated with grave seriousness and sorrow. Sandy brown. Sandy brown is considered as one of the web colors. It is described to be a pale shade of brown which is similar to the color of some sands. Smokey Topaz. In 1994, Crayola formulated the smokey topaz as a color in the Gem Tones set. Tan. This color is described to be a pale tone of brown. The name is derived from the word tannum which means oak bark. This color is used in the tanning of leathers. Brown and white. The earthy hues of brown, when contrasted with white, is always enhanced. The two colors work perfectly together to add drama to any outfit, sneakers, shoes, painting, and architecture. Without the use of a white treatment, anything would feel so dark and dull. Brown and Fuchsia. Dark shades of brown when paired with tones of Fuchsia heighten the visual appeal of any product or thing. Anything that has the brown foundation with fuchsia accents to it is always transformed to an active and feminine setting. Brown and blue. If you're seeking to get a trendy and relaxing look, consider blending and pairing blue with brown. The sleek and modern look of this color combination adds balance to the traditional ambiance of any room, attire, accessories, and shoes. Brown and Mint. Blending the fantastic shade of brown with minty green leads to a more organic and fresher look of a shoe. The soothing and relaxing tones of mint symbolize masculinity with a softer look and feel. Brown and Turquoise. One of the trends in the market nowadays is the combination of brown and Turquoise. These blends of colors suggest a vintage style. These two colors are sure to beautifully complement each other without compromising the shoe's design and appeal. Brown and yellow. A lot of people know that yellow is one of the colors that beautifully compliment the shades of brown. This combination adds to the charm, energetic, fun and lively look of a running shoe. Brown and Gold. If you want to achieve a look that is charming and bright, the combination of color brown and gold is an excellent choice. Brown with the accents of gold in it characterizes magic and boldness. Its style will make a shoe look refined and luxurious. Can I wash a brown running shoe regularly? Like any other things that you have for personal use, it is also essential to maintain the cleanliness of your brown running shoe. Just remember to use a mild soap, a soft toothbrush, and warm water to prevent any shoe discoloration. Always dry your brown running shoe in a natural way to maintain its shape and beauty. When is the right time to retire my brown running shoes? When you are running on a regular basis, they say that your shoe will retire after 300 to 500 miles of short and long-distance runs. But if you feel unprotected and uncomfortable during your activity, that’s the best time for you to buy another pair of footwear even if you haven't reached the 300-500 miles of running. Can I wear my brown running shoes on casual days? Always remember that a running shoe is not exclusive for that purpose only. If you are comfortable wearing your brown running shoe for walking, casual and everyday use, then go ahead and use it. As long as you know how to combine your running shoe with the proper outfit and clothing, you will always look great and amazing. What's the most affordable brown running shoe in the market today? Based on RunRepeat's rating as of September 2018, the Saucony Kineta Relay is one of the affordable brown running shoes in the market today. It may be sold at lower prices, but it doesn't mean that the shoe has poor quality and performance. Remember that the price is only a factor in choosing the best running shoe for you.